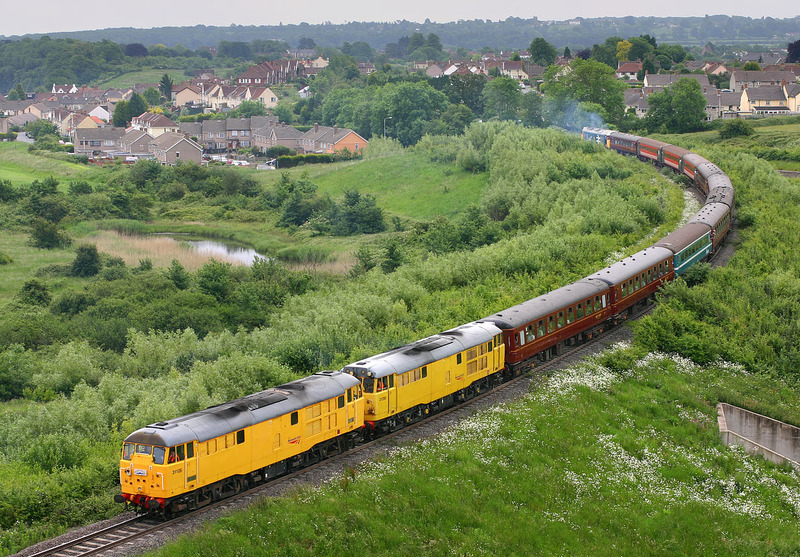 I had originally intended to photograph 31105 & 31285 from this angle at Lodway when they headed for Portbury with the Railway Children 'Bristol Coal-Stone Haul' railtour on 3 June 2007. However, as it seemed that the sun might come out (no such luck!) I photographed them from the other side. So after the tour's brief stop in Portbury, and with no other suitable location within walking distance, it was back to my original spot as 50049 led the tour back towards Bristol as the 1Z21 10:30 Portbury Dock to Bath Spa, with 31105 & 31285 bringing up the rear.